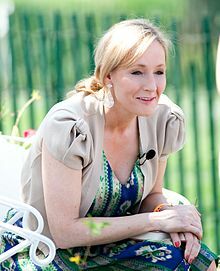 The following is a personality profile of J K Rowling based on her work. J K Rowling is a bit compulsive, explosive and social. She is intermittent, she has a hard time sticking with difficult tasks for a long period of time. She is unconcerned with art as well: she is less concerned with artistic or creative activities than most people who participated in our surveys. But, J K Rowling is also fiery: she has a fiery temper, especially when things do not go her way. More than most people, her choices are driven by a desire for discovery. Considers helping others to guide a large part of what she does: she thinks it is important to take care of the people around him. She is also relatively unconcerned with tradition: she cares more about making her own path than following what others have done. The book arrived in time and in good condition for a used book.